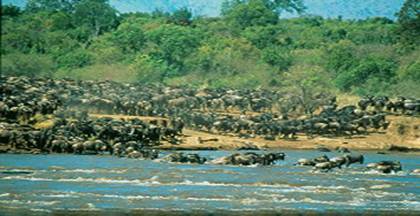 Depart from Arusha in the afternoon and proceed to Ngorongoro Conservation Area and set up camp. Dinner and overnight at the Camp. Morning and afternoon game drives of the Ngorongoro Crater floor. Meals and overnight at the Camp. After breakfast visit Olduvai Gorge enroute to Serengeti National Park to arrive at the park in time for lunch. Proceed for an afternoon game drive in the Park. Dinner and overnight at the Camp. After an early breakfast proceed for a morning game drive en-route Lake Manyara National Park and arrive at the park in time for lunch. Later proceed for an afternoon game drive in the park. Dinner and overnight at the camp. After breakfast proceed for an early morning game drive enroute to Arusha in time for lunch. Price per person for the above tour is US$975 joining. Minimum four people.